Yanick is a second year PhD student in Computer Science at UC, Santa Barbara. 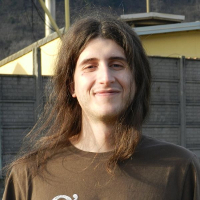 He currently works in the Computer Security Lab under the supervision of Giovanni Vigna and Christopher Kruegel. His research interests primarily focus on the security of mobile systems. He is involved in the development of Andrubis, a publicly-available service to analyze Android applications, and he is also part of the Wepawet team, as the main author of Shellzer, a shellcode analyzer. Yanick is a member of the EpicFail and Shellphish hacking groups, that every year organize the International Capture The Flag (iCTF).